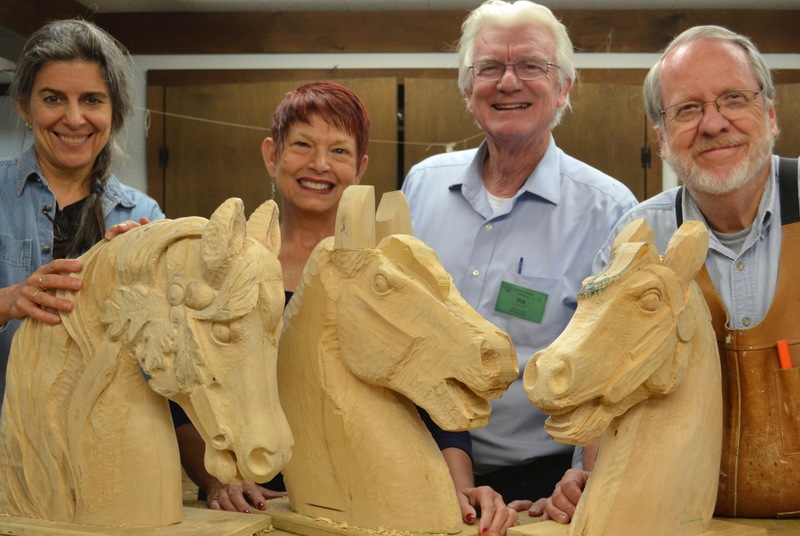 A few years ago I went up to John Campbell Folk School for a class on carving where we were tasked with carving the head of a full size carousel horse. The instructor was excellent and brought several beautiful carousel horses for us to go by. 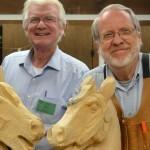 He gave us a pattern for the head and a roughed out block of basswood and said, all right, go ahead. And we’re sitting there saying go ahead where? We were finally able to get rolling on the task, which turned out to be a long week of eight hour days taking off little chips of wood, then stepping back and trying to see what to take off next or if we had gone too far. If you have never done carving in stone or wood, the problem is once you cut something off, it is gone. You can’t put it back like you can with clay. In fact, we laughed the whole class about looking for a “wood-put-er-backer-on-er”, i.e. something to put the wood back on after it was gone. We never did find one. Summer time in Georgia is peach time. 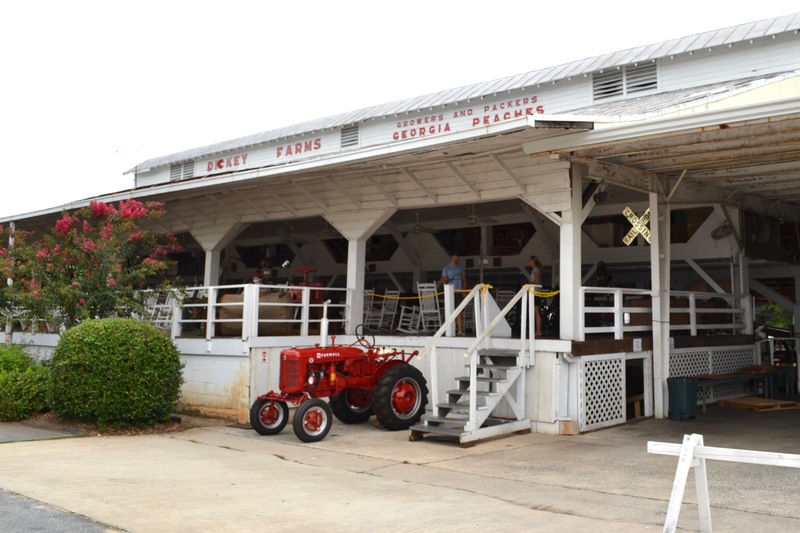 Every year I go down to Middle Georgia to a peach packing house and watch them sort and grade peaches. They have this wonderful machine which sorts, grades and labels the peaches with a computer and a camera. The machine takes a photo of each peach as it literally flies by, kicks out the bad ones, sticks a label on the rest and then directs each one to the proper tray for packing. While sitting there in one of their rocking chairs, eating peach ice cream and watching that machine photograph and sort those peaches, it came to me — a solution to the “wood-put-er-backer-on-er” problem. About two years ago, I contacted the company which manufactures the peach machine and proposed to them a combination machine for carving. My idea was to set up a modification of their sorting machine and combine it with a 3-D printer. The computer/camera records the shape of each chip as it falls off the carving. Then using the 3-D printer, any chip can be reproduced and put back on the work, one chip at a time. The beauty of my machine is you don’t actually have to keep each chip because it is recorded in the computer and you can just “rewind” to a particular spot in the carving process and the 3-D printer simply adds the chips back onto your work. What genius! Course, there is a limit to how far back you can go and with current technology and memory, it is about 500 chips. Naturally it doesn’t work for sanding since those particles are too small and really eat up memory. The peach machine company has promised to deliver the prototype by July 1st this year and I cannot wait for you to see it. I have a photo, but for marketing purposes we are not ready to publish it yet. Price is going to be determined by the demand , but right now the initial price point is in the $16,000 range. A price that high is going to limit sales, but I am positive we can pull that down as we start marketing and demand begins to build. Eventually I think we are looking at about $4500 each which is still a lot of money unless you need one. On the other hand, my Oneway lathe cost more than that. I see endless possibilities. The same problem exists for lathe work, but we will need a lot more memory and a really, really fast camera to record all those chips. Being able to “rewind” enough to make a real difference could be a problem. I do need a catchy name for it and if you have something I can use, post it in the comments. What about “PEBOE” or “Backer-on-Er”? Look for it in the Fall Edition of the Highland catalog. Better Results with a Sharpened Spokeshave The Woodworking Show is in Atlanta this weekend!